Since the formation of the G+, and under the direction of the Board of Directors, member companies through the Focal Group have met on a monthly basis to discuss experiences from accidents and incidents and to share lessons learned. Facilitated by the Focal Group Leader, the aim of these discussions has been to better understand the risks in the offshore wind industry, their root causes and possible mitigation actions to prevent further accidents and incidents. Through the sharing and analysis of incident data provided by G+ member companies, an evidence based understanding of the risks encountered during the development, construction and operational phases of a wind farm project has been produced. 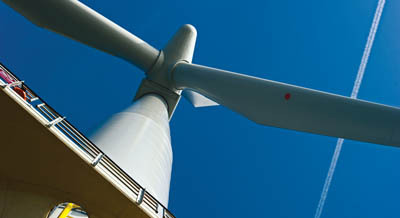 This information has been used to identify key risks in the offshore wind industry and inform the G+ work programme. In 2014, the G+ developed and published two good practice guidelines. In 2015, these two good practice guidelines were translated into Danish and German and have been published. Each version of the good practice guidelines are are available to download here. Publications issued for stakeholder consultation will be included in this section. The G+ publishes an annual G+ incident data report, focusing on G+ sites across Northern Europe, and an annual UK HSE statistics report, which includes data from G+ and non-G+ UK sites. The most current reports and earlier versions can be downloaded from this site. Further information on the G+ Safe by Design intiative, including previous workshop outputs and reports can be found here.